Last week I was talking to a potential client. They wanted to learn more about social media and how they could use Twitter to get more exposure for their brand. This isn’t the first time the two tools have been confused when I’ve talked to a business owner. They sound similar, so that alone makes it easy to confuse them. Hubspot does offer a social inbox and monitoring, and companies can use it instead of Hootsuite, but the likeness pretty much ends there. I hope to use this post to point out the differences, so that you can easily identify which tool you need or want to use. Hootsuite- What it is, What it does and How much it costs. Hootsuite is the most commonly used social media software program on the market. Just about everyone who has to manage more than one profile from Facebook, Twitter or Linkedin tries this software because it can handle all of the big 3 platforms. Strictly spoken though, Hootsuite is only social media software and it does little else. The monthly subscription for Hootsuite starts at free and for more than 3 profiles it costs $9.99 a month. With a few variations, some apps, etc your price can incline by a few dollars for each addon. It takes a while to really add up to anything too significant, though. In general, the market loves Hootsuite. It is inexpensive, it has a lot of features, it can monitor Twitter, allow you to post on your social media accounts from one place, and it makes the life of a social media manager much easier. However, it isn’t perfect, the interface isn’t as friendly as I would like, and reporting with Hootsuite software can get expensive ($50 each). But other than starting with an H and being a social media program, Hootsuite has very little in common with Hubspot. Hubspot- What it is, What it does, and How much it costs. I’ve written a lot about Hubspot on this blog. It is an inbound marketing software and they basically defined “inbound marketing”. I work with a lot of clients and agencies who use Hubspot and there isn’t much about the company I don’t love. However, their social media software is a tiny fraction of what they provide. As an inbound marketing software, their first and foremost priority is to manage content- that means your blog posts, landing pages, calls to action, forms, pages, etc. All of it can be accessed from within your dashboard, not to mention many more features. Hubspot is your blog, website, email marketing autoresponder, newsletter provider, tracking software and customer relationship manager. Within all of this they offer the social media inbox and Twitter monitoring, along with auto post features, a nice tool that lets you repost and publish your content on a schedule and the opportunity to turn email lists into social media lists. But, in similarity to Hootsuite, Hubspot is a full featured inbound marketing software, not so much a social media program. And the price dictates this as well. Starting out at $200 a month, users can run their blog on Hubspot. At $800 a month they can run their entire site, and for $2400 a month an enterprise can run their website on Hubspot. This means you are looking at Hootsuite and Hubspot and the prices are $9.99 vs $200+ per month. Big difference, huh? Hootsuite vs Hubspot- Now What? As a social media manager I use both of these tools to handle client accounts. Even in the social media realm, I overlap Hootsuite and Hubspot because I like the features and options of Hootsuite a bit more than Hubspots. I find it nice to be able to use both. You certainly do not need both. 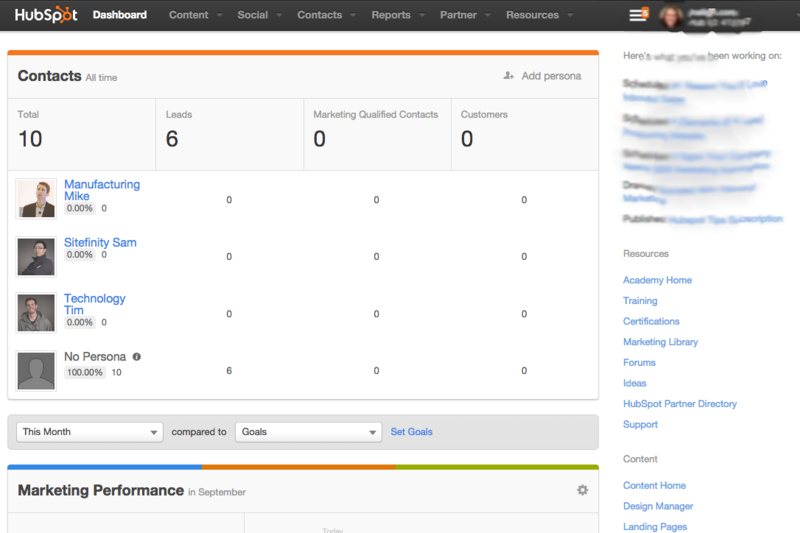 If you are looking for inbound software Hubspot is the right tool. 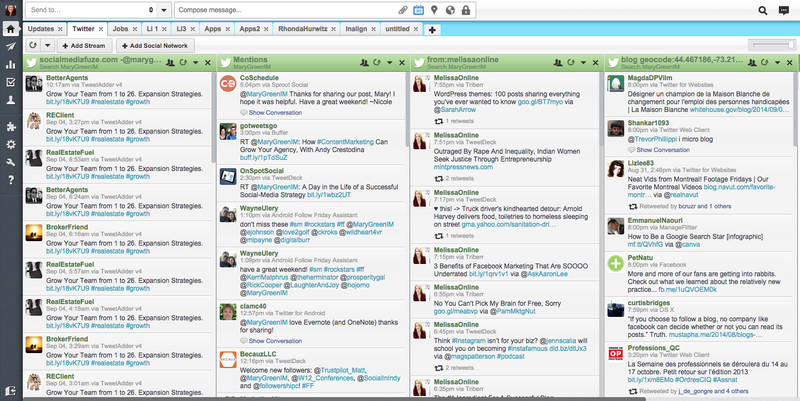 If you just want to manage your profiles Hootsuite is the best option. Of course, if you are still confused, I’d love to help you out. Send an email and I’ll respond as quickly as I can. ← Does Blogging Really Work? Yes, Yes It Does- 2 Examples of Success! I also use https://fanpagerobot.com , is a simple but very powerful tool to auto publish your blog posts to Twitter, Facebook, Pinterest, Google+, and more. I am in between jobs and interested in learning more about social media marketing that will make me more marketable in development and fundraising in nonprofit/university settings. I am looking at these two options, Hootsuite and Hubspot, and wondering which would be the place to spend my time initially. Thanks very much for this article Charlie, it really clarified for a newcomer to content and social, which way we should be heading platform-wise for our business. Good job.